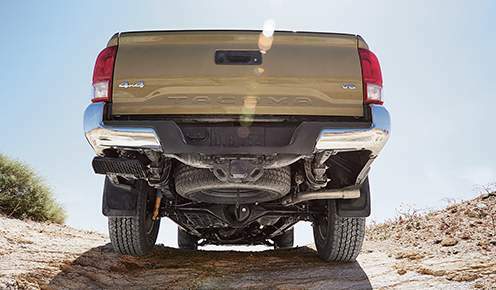 A legend, built upon more than 80 years of global truck heritage, the Toyota Tacoma is ready for the next chapter. 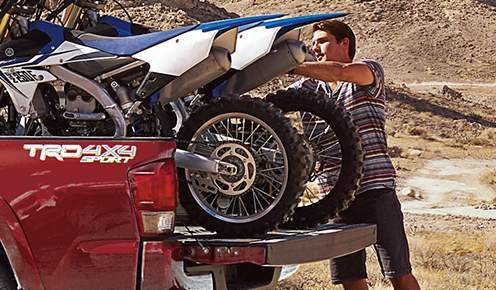 Tacoma's quietest cab ever is ready for all your adventures. Available heated sport front seats - trimmed in premium fabric or available leather - keep you comfortable. A convenient power sliding rear window is standard on all Double Cab Short Box Models and the Double Cab (6-foot Box) with TRD Sport Package. 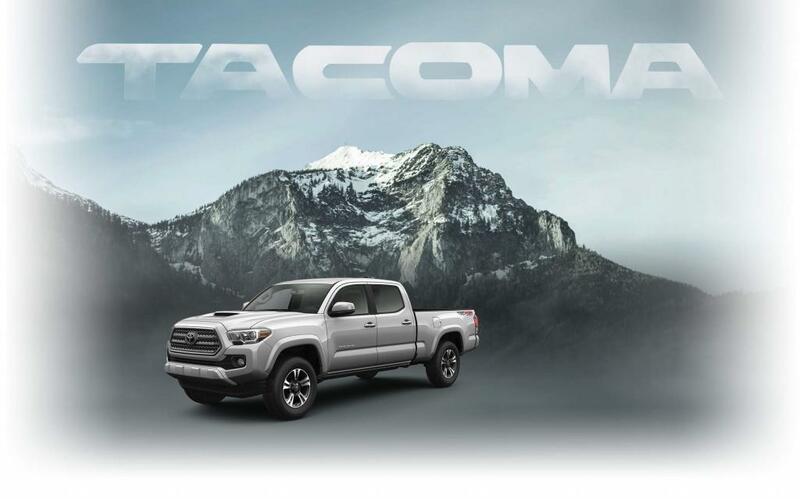 Tacoma is available in 4x2 and 4x4 Access Cab or 4x4 Double Cab configurations. 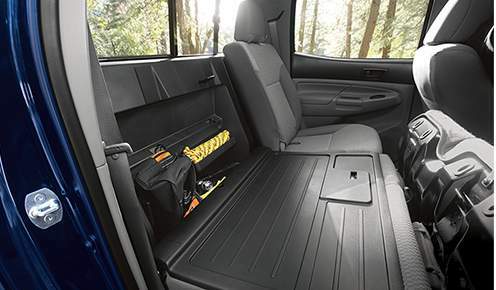 Double Cab models feature 60/40 split fold down seat backs and fold out seat cushions, along with under seat storage, while Access Cab rear seats fold up, offering additional cargo capacity. Rugged and Refined. 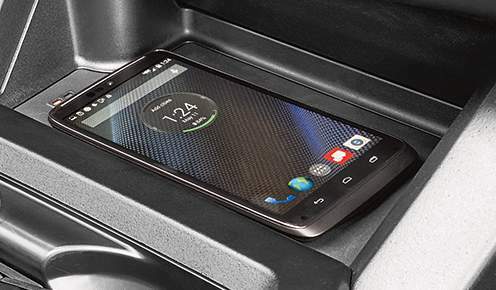 Inside Tacoma 4x4 Double Cab V6 Limited, you'll find premium leather seating, a Smart Key system with push-button start, Qi wireless charging and a 7-speaker JBL premium audio system with 7” touchscreen display and navigation. The exterior steps up its game with features like a full chrome grille and chrome accents on the fog lamps, mirrors, and side-step bars, along with a power moonroof to let the great outdoors shine in. 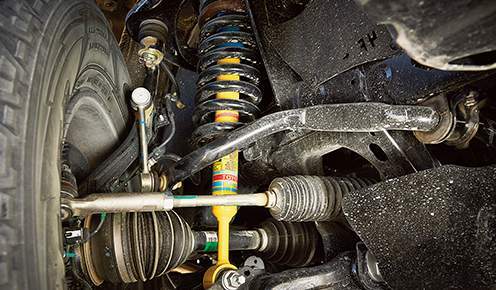 Get Inside the Tacoma TRD Pro Series. 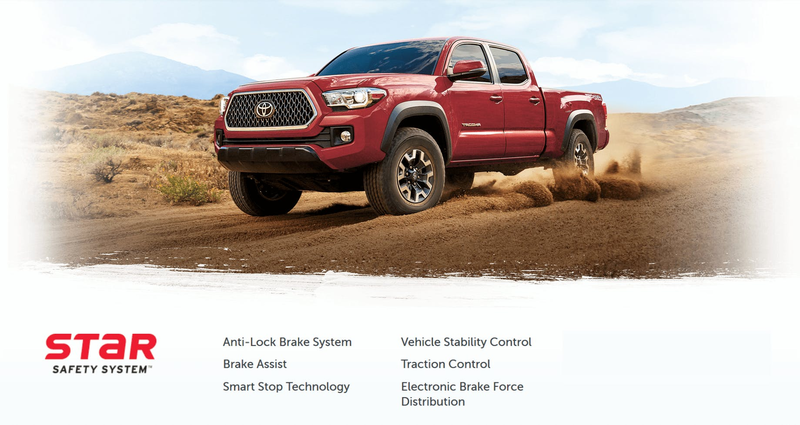 Inspired by Toyota Racing Development's 35-year history of success in extreme off-road racing, Tacoma TRD Pro is built in North America and engineered to take on the most challenging terrain that Canada can put in your way. 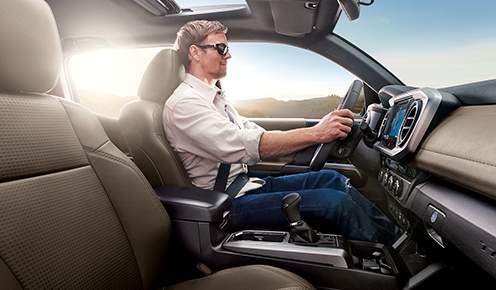 Tacoma's standard 6-speaker, 6.1'' display audio system includes AM/FM, USB and Auxiliary playback, steering wheel audio controls, Bluetooth® Capability and backup camera. 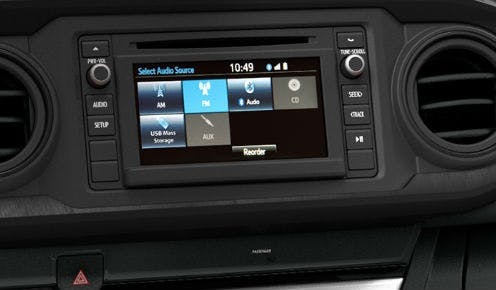 4x4 SR5 Models add integrated SiriusXM® satellite radio capability and 4x4 TRD models add Navigation. Power your gear anywhere. 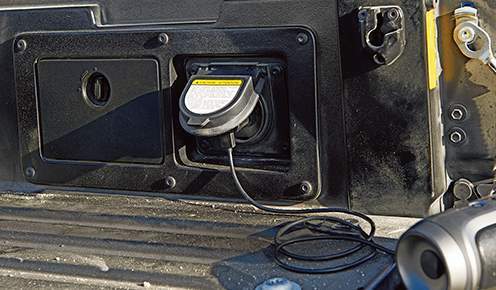 Tacoma V6 models offer a 400 Watt (120V) power outlet, accessible from the cargo bed. 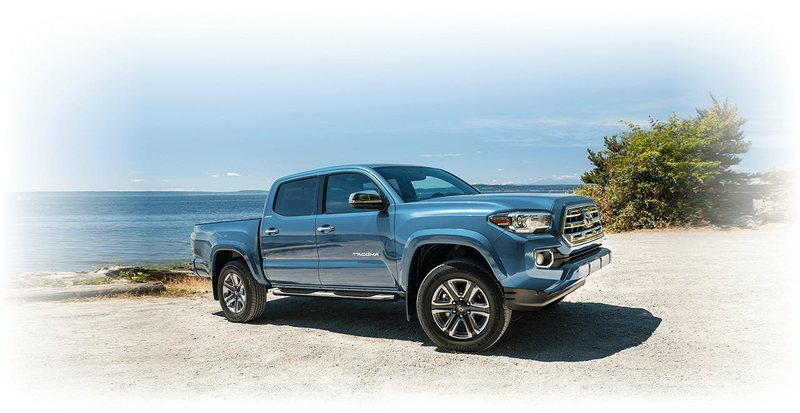 Tacoma offers up to 2950 kg (6,500 lb) towing capacity (4x4 Access Cab V6 TRD Off-Road and SR5 Models) and each V6 Tacoma is equipped with a towing package that includes a Class IV hitch, 7-pin wire harness and trailer sway control. 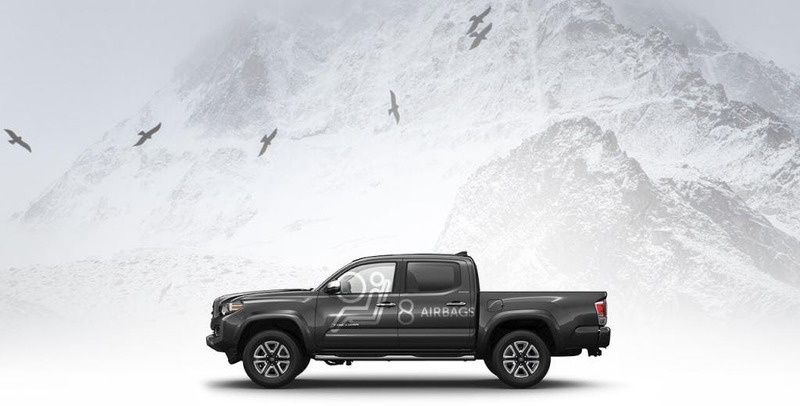 Tacoma offers dual-stage airbags for driver and front passenger, front seat-mounted side airbags, roll-sensing side airbags, and new driver and passenger knee airbags. 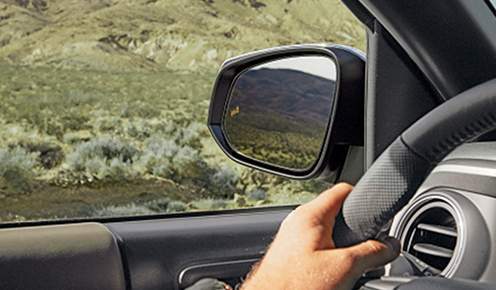 Tacoma Limited & TRD Sport 4x4 Double Cab V6 models offer blind spot monitor with a Rear Cross Traffic Alert System to notify you if something is in your blind spot or crossing behind you. Toyota Safety SenseTM P (TSS-P) is designed to help protect drivers, passengers, people in other vehicles on the road, and pedestrians. TSS is comprised of multi-feature active safety packages anchored by automated pre-collision warning and braking. TSS is designed to support the driver's awareness, decision-making and vehicle operation over a wide range of speeds under certain conditions. Packaged together in an integrated system, TSS features help address three key areas of accident protection: mitigating or preventing frontal collisions, helping to keep drivers within their lane, and enhancing road safety during nighttime driving. Always drive safely, obey traffic speed limits and laws, and focus on the road while driving.